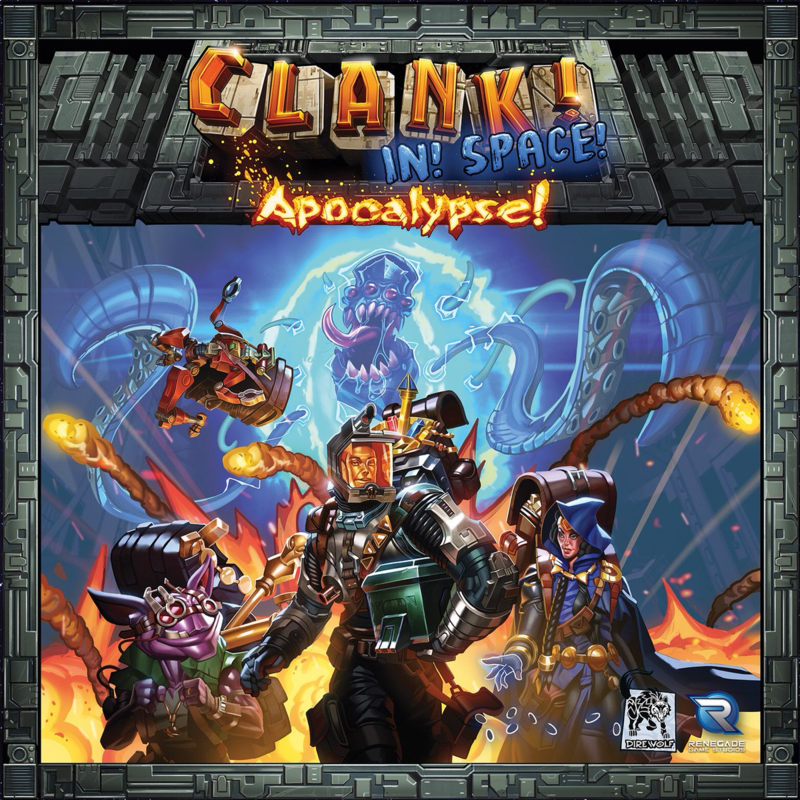 DENVER – Sept. 5, 2018 – Dire Wolf Digital and Renegade Game Studios today announced that Clank! In! Space! Apocalypse! is now available online and at select retailers. The first intergalactic expansion for hit deck-building game Clank! In! Space! features a new mechanic where players select one of eight new Scheme cards, each representing one of Lord Eradikus’s dastardly plans to devastate the galaxy. It’s up to players to stop the apocalypse and save the galaxy, or at least escape with the treasure before someone else does! About Clank! In! Space! Apocalypse! Clank! In! Space! Apocalypse! is the first expansion to hit deck-building game Clank! In! Space! While the galaxy belongs to Lord Eradikus, small pockets of resistance continue to oppose him. With the evil cyborg turning his oculus implants to these ragtag heroes, it is up to you and your fellow thieves to aboard his ship and loot his valuable artifacts before his wicked scheme wipes out the entire universe.